South Central Diabetes Center offers diagnosis, treatment, medication management, education and support group services for those living with diabetes. South Central Regional Medical Center in Laurel has developed a diabetes program, South Central Diabetes Center. The center is accepting all diabetic patients to aggressively manage treatment for their diabetes. Practicing a proper diet, increasing exercise and weight loss are the main forms of traditional treatment in diabetes. However, there are many new services, medications, training and teaching tools available, that are able to manage diabetes effectively and reduce side effects and complications. As many as 40 percent of adult Mississippians over the age of 65 have diabetes. And with that, the vast majority of type 2 diabetics do not know they are living with this disease. Given that Mississippi has the highest rate of obesity in the country, the state also has the highest rate of diabetes in the country. 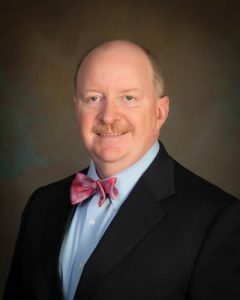 Mark Horne, MD, Medical Director of South Central Diabetes Center, is working to lower this rate and for patients to understand the signs and symptoms associated with diabetes.